Dr. Nápoles partnered with a local organization, Círculo de Vida, that supports low-income Latinos living with cancer and their families. Programs to help women with breast cancer already existed but had not yet been adapted for and tested among Spanish-speaking women like those Círculo de Vida served. Working with the organization’s staff, Dr. Nápoles identified needs that were unique to Latinas with breast cancer and came up with effective ways to deliver support to these women. The team created Nuevo Amanecer (“a new dawn”), a stress management program for low-income Spanish-speaking Latinas with breast cancer. The program was delivered in eight weekly sessions by compañeras, Spanish-speaking Latina breast cancer survivors trained to deliver cancer treatment support. The compañeras visited patients’ homes and taught patients skills to manage thoughts and mood, reduce stress, and communicate with healthcare professionals. The women who participated in the program saw significant improvements in physical health, emotional health, and overall quality of life.2 Now, as the scientific director of NIMHD’s Division of Intramural Research, Dr. Nápoles is working on ways to bring change and support for other people who, like those low-income Latinas, experience health disparities. Over the years, researchers have developed many programs to help people improve their health. But these programs often need tailoring to fit particular groups and settings. Dr. Nápoles’ experience with Nuevo Amanecer inspired her to help other people bring health programs to communities with fewer resources. She created an innovative method to do this, which she calls the transcreation framework. (Fig. 1). The Transcreation Framework: A 7-Step Process. 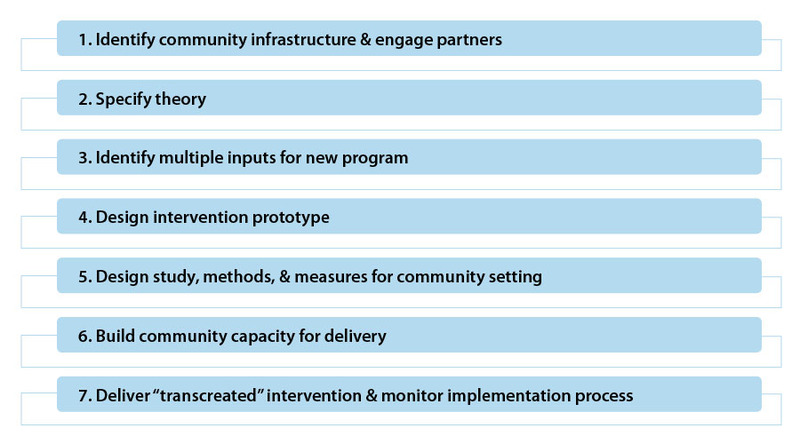 This figure depicts the 7 steps involved in designing, delivering, and evaluating behavioral interventions in communities to reduce health disparities. Source: Fig. 1. From “Transcreation: an implementation science framework for community-engaged behavioral interventions to reduce health disparities,” by Nápoles, A. M., & Stewart, A. L., 2018, BMC Health Services Research, 18(710), 4. Copyright 2018 by Springer Nature. 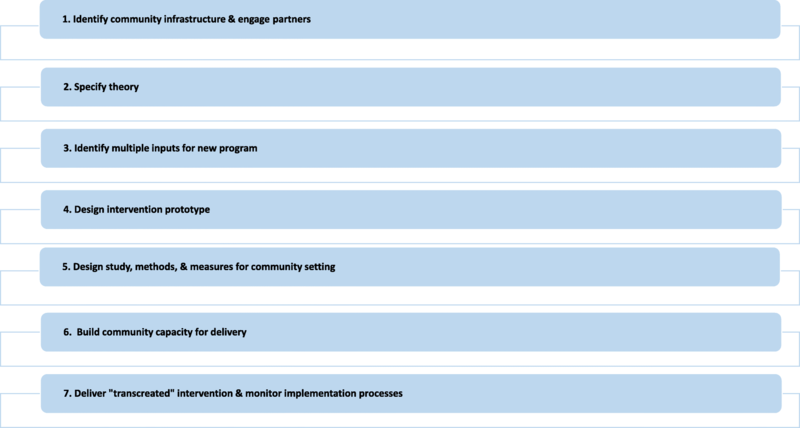 The transcreation framework gives healthcare workers a set of steps they can follow to design and deliver health programs that fit the needs and resources of a local community. These health programs may combine aspects of several different programs to create one that speaks to and is effective in a specific community. Community partners are involved in identifying the best strategies and developing approaches that are acceptable to the community. Using health workers from within the community also establishes trust and rapport with the population and builds local capacity. “Where we are seeing the greatest impact is where these [health] programs that have been proven to be effective can be tailored … within communities by community health workers,” says Dr. Nápoles. Dr. Nápoles wrote about transcreation in a recent article in BMC Health Services Research with Anita Stewart, Ph.D.,3 a professor at the Institute for Health and Aging within the University of California, San Francisco, and one of the collaborators on the Nuevo Amanecer program. Since joining NIMHD in 2017, Dr. Nápoles has collaborated with scientists at NIH’s National Heart, Lung, and Blood Institute (NHLBI) and within NIMHD who are doing similar community-based work. 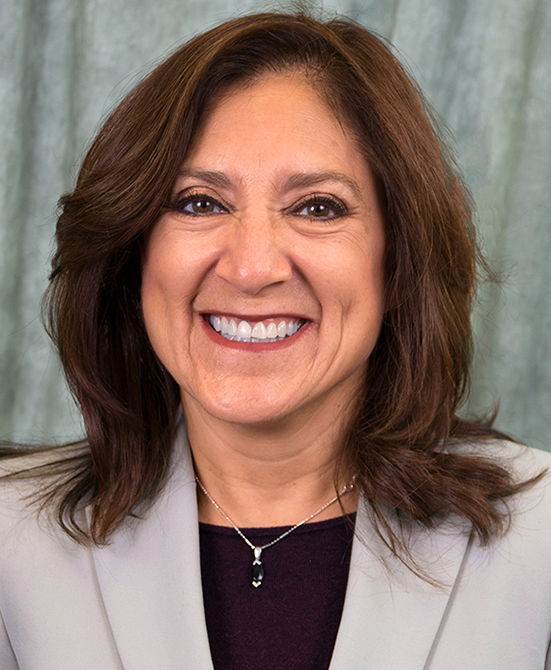 Using the transcreation framework, Dr. Nápoles developed and tested a health program that uses a mobile app to promote physical activity among Latina breast cancer survivors. She plans to work with NHLBI’s Tiffany Powell-Wiley, M.D., M.P.H., who is an NIMHD adjunct investigator. Dr. Powell-Wiley has developed and is testing a health program that uses a mobile app to promote physical activity in African-American women in Washington, D.C., to extend the project to include Latinas. Obesity disproportionately affects minority women, and a program to decrease the risk of obesity will help prevent associated chronic diseases, such as diabetes and high blood pressure. The ability of the transcreation model to help plan, adapt, and deliver health programs that resonate with different populations speaks to its promise in addressing some of the health conditions that disproportionately affect certain communities. Dr. Nápoles notes that when introducing research-based programs into communities, rigidly following the manual (referred to as fidelity to the original program) can result in an experience that doesn’t fit the community. The transcreation process draws specific attention to the balance between fit and fidelity and “is a way to maneuver through that challenge and come to a solution that resonates with the community,” she says.